O2 customers can join the London Underground free Wi-Fi conga... NOW! 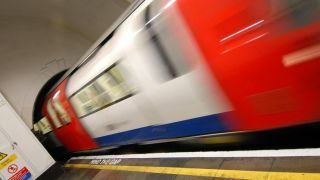 O2 subscribers can now enjoy the blessings (or curses) of free Wi-Fi on the London Underground after the company opened up access to Virgin Media's network on Thursday. The roll-out had been expected in June, but earlier this month O2 announced it would be delayed until July 22 while more tests took place. So, despite being later scheduled, it's earlier than expected - if that makes sense - and access is now available to O2 users at 121 stations and platforms around the capital. To jump on board, subscribers will need to download the O2 Wi-Fi application for iOS and Android and sign in. Each time they enter a Wi-Fi enabled area of the stations they'll be automatically logged in. Virgin initially set-up its underground Wi-Fi network to assist visitors to London during the 2012 Olympic Games, offering free access to all. As the free period began to wind down, rival networks agreed deals with Virgin to keep the access gratis for their customers. O2 joins Vodafone and EE, both of which had already sealed agreements with Virgin last November. The arrival of Wi-Fi on the tube has split opinion since its initial roll-out last spring. Some enjoy the extra connectivity, while others viewed a tube journey as the last bastion of freedom from work emails and annoying social networking feeds. If you're stuck at Baker Street on your way to work on Friday morning, let us know your thoughts in the comments below.